#foreignplanetfilm is a feature in which we get people to tell us which film they’d choose if they had to and leave earth today and go to a brand new planet empty of all our cinema. Would they choose something to comfort themselves or would they choose something to help whatever may live or come to live on this foreign planet? 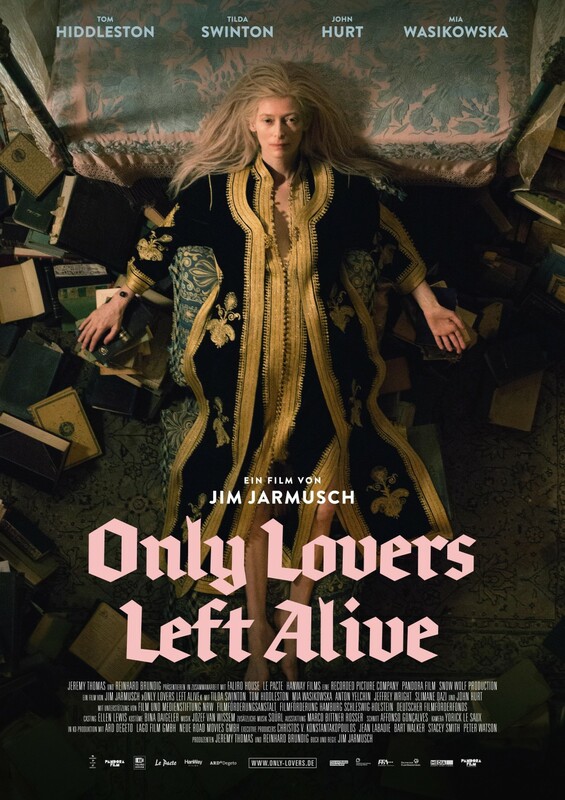 For my contribution to #foreignplanetfilm I decided that Jim Jarmusch’s latest film Only Lovers Left Alive provided everything that existence needed. I understand that this is a bold claim; the film was only recently released and it certainly doesn’t have the grounding in cinema history that The Lion King or Beauty and the Beast have and maybe I am naive to be so over-awed by a film which hasn’t had time to prove itself. But it is a film that I have struggled to shake from my mind since watching it many, many weeks ago. Films come and go yet some are certainly meant to last forever, and I passionately believe that Only Lovers Left Alive is one of these and if I could give eternal life by taking it to a new world I certainly would. Now I will admit that my exposure to Only Lovers Left Alive came under drastically tragic circumstances. I was home for innovative learning week (to students who do not frequent Edinburgh Uni this is a week wherein very little learning is done in any especially innovative way) and I was accompanying my parents on a rather shameful Valentine day trip to the cinema for the premier of Only Lovers Left Alive. Opinions on my own regrettable circumstances aside, I spent the cinema trip in a state of unexpected joy due to the quality of the film and the features of it that I cannot shake from my mind that cause a desperate desire for a further viewing. There are numerous qualities which the film possessed that would make it a striking watch: beauty, shabby chic and dry wit to name a few. However, what I was struck and so impassioned by was how wonderfully it represents the best of human nature; the human nature rarely seen in the damned view of the world today and it is these qualities that would be so apt to take to a new world. The centre piece of the film is romance and despite its immeasurable amount of fine qualities at its heart, the film is a love story. It is not a soppy, overworked love story however; it is a story of loyal love, where one partner travels the world in order to save the one she loves. This loyalty and this love come wrapped within an aura of subtlety and this, in my opinion is certainly a feature that should be desirable to all. The crass, loud world that we currently inhabit could learn a lot from the subtlety of a film where romance and loyalty are portrayed as the two most important qualities in the lives of the characters. Why take a film about vampires to a new world? Why use a washed-up gothic dream as a centre piece for the teaching of a new people? My answer to that would be because this is not a generic, cliched production but rather a thoughtful, different film with an air of originality that would be perfect for a foreign planet. The film presents strong qualities that would certainly improve many of our already inhabited world’s societies let alone be a strong basis upon which to found one. Rupert Radley contributes weekly to the film section of The Student. He studies Politics at the University of Edinburgh. His interests are summed up by film, cats and coffee. We could go on about Rupert a bit more but that’s about all you need to know really. I read this article and found it very interesting, thought it might be something for you. The article is called Only Lovers Left Alive – #foreignplanetfilm and is located at http://prancingthroughlife.com/2014/03/27/only-lovers-left-alive-foreignplanetfilm/.